Prizefighter returns later this month with the first ever light-middleweights competition. 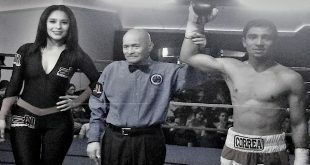 The event, which will be staged at the York Hall in Bethnal Green, east London, will be held on Friday, February 26. 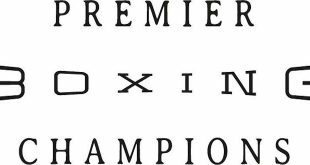 The eight-man line-up includes the usual mix of talented, undefeated prospects and former champions including Ex-Commonwealth Champion Bradley Pryce and former British belt holder Neil Sinclair. Seven fighters have been confirmed and the eighth spot will be offered to the winner of the Martin Concepcion v Kevin Hammond bout, which takes place on February 5 in Nottingham. 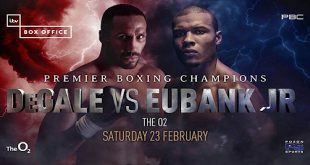 Eddie Hearn, Matchroom Sport’s Managing Director, was expecting another hugely entertaining evening of Prizefighter boxing on February 26. “It’s another stunning line up for Prizefighter as more and more champions want to be involved,” said Hearn. “We’re back at the York Hall – the home of British boxing – where it will be a guaranteed sell out and a great atmosphere. This will be the tenth Prizefighter event where four quarter-finals, two semi-finals and the final, each lasting a maximum of three rounds, take place in one thrilling evening. A successful night at Prizefighter can transform a boxer’s career with many of the previous winners going on to fight for major titles. The Prizefighter contenders are Prince Arron (Droylsden, Manchester), Danny Butler (Bristol), Brett Flournoy (Birkenhead, Merseyside), George Hillyard (Canning Town), Steve O’Meara (West Drayton, Middlesex), Bradley Pryce (Newbridge, Wales) and Neil Sinclair (Belfast). Tickets cost £30 and £50 and can be bought from Matchroom Sport on 01277 359900. All the action will again be broadcast live on Sky Sports. 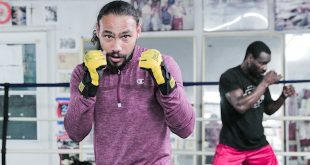 The winners of the previous Prizefighter events were… Heavyweights 1 – Martin Rogan, Heavyweights 2 – Sam Sexton, Welterweights – Michael Lomax, Middleweights – Martin Murray, Light-heavyweights – Tony Oakey, Lightweights – Ryan Brawley, Cruiserweights – Ovill McKenzie, Heavyweights 3 – Audley Harrison, Light-welterweights – Gavin Rees. Previous Frank Maloney Boxing: Would Booth Bash His Buddy Munroe?